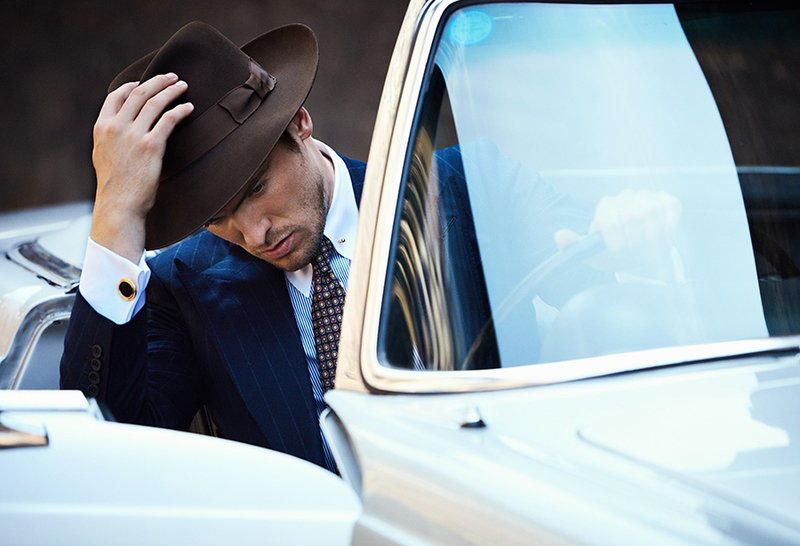 The Rake has joined forces with iconic London-based hatters Lock & Co. to create the limited edition ‘Pall Mall’ Fedora, an exemplar of classic style. Photography by Neil Gavin, styling by Veronica Perez. Bespoke navy 11oz wool flannel chalkstripe suit, Edward Sexton; blue bengal stripe pin collar shirt and silver metal collar bar, Edward Sexton for The Rake; navy silk printed tie, Turnbull & Asser; chocolate Pall Mall felt fedora, Lock & Co. for The Rake; bronze coin, yellow gold cufflinks, Elizabeth Gage. As far as hatmakers go, there is perhaps no label quite as renowned or as masterful as Lock & Co., the world’s oldest hat shop and one of the longest-enduring family-owned businesses in existence. The hatters was founded in 1676 and has been a resident of London’s St James’s Street ever since, its innovative and elegant designs having graced the heads of some of the most influential figures in history, including Admiral Lord Nelson, Sir Winston Churchill and Oscar Wilde. This strong sense of custodianship translates to craftsmanship of the highest quality: Lock & Co.’s hats are designed to stand the test of time, both functionally and sartorially, with each one lovingly crafted from luxurious fabrics. While most of the label’s hat shapes retain a classic, old-school mould, there is room for experimentation with cuts and compositions. Lock & Co. has previously collaborated with iconic brands such as A Bathing Ape, Nicole Fahri, Turnbull & Asser, Mackintosh, Vivienne Westwood, and Todd Snyder, all the while epitomising a perfect marriage of classicality and contemporaneity. 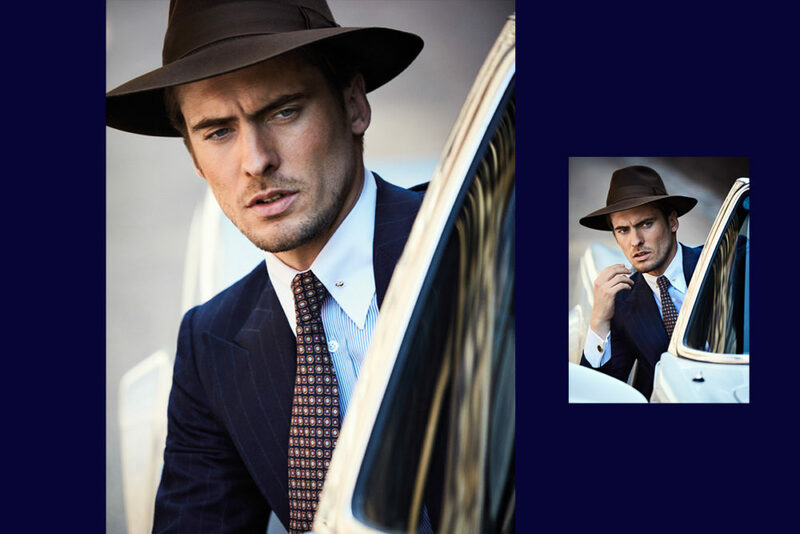 One such example of this is Lock & Co.’s most recent collaboration with The Rake: the limited edition ‘Pall Mall’ fedora, made with felt from chocolate brown beaver fur, with black silk lining and a leather inner headband. It’s a prime example of how a fedora should be fashioned: with a top crease, two side dimples and a malleable brim. The style is reminiscent of an era gone by, but the minimalist elegance gives it currency and lends itself to versatile wear. For an air of effortless cool, pair it with relaxed denim jeans and a leather jacket, or dress it up with tailoring. 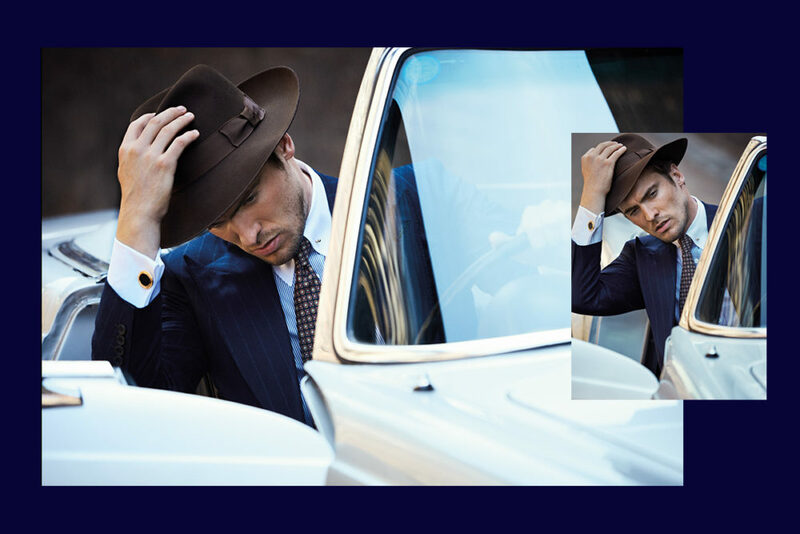 However you choose to integrate the ‘Pall Mall’ fedora into your wardrobe, know that it will inevitably come to play a significant role in informing your style identity. Don it with boldness and the assurance that, like its wearer, it will only improve with time.